Domain names serve as a unique identifier on the internet that classifies Internet Protocol (IP). For websites, they act as an address or a location as well as a tool for naming and branding a company’s internet identity. If you have this one, you will be identified easier together with the products that you sell and services that offer. This could also be an identity for those who would like to write good contents and share to tons of readers online. With domain names, you will surely be discovered. Domain names are formed by the rules and procedures of the Domain Name System (DNS). The best thing to do is customizing your domain name. This is a very good way for you to be able to maximize your identity online. A well –customized domain can be used for several purposes and can gain higher favor from search engines. Custom Domain Names can be searched and purchased on domain registrars such as godaddy.com, for more information about setting up a domain name, refer to Set Up a Custom Domain. If you already bought a custom domain from Namecheap you may visit my other tutorial about setting up of custom domain for namecheap.com here. 1. Login to your Godaddy account and click on the My Account tab. 2. Under Domains, you will see the list of your domain names. Click on LAUNCH of your desired domain. You’ll be directed to the Domain Manager page. 3. 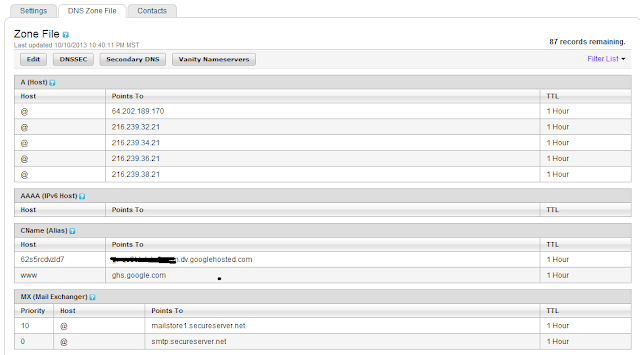 Under the A(Host) Tab of the DNS manager, enter the 5 IP addresses as below, one-by-one, using the Quick add button, to change the A records. 7. After you are done adding records, click on Save Changes to save your edited data. 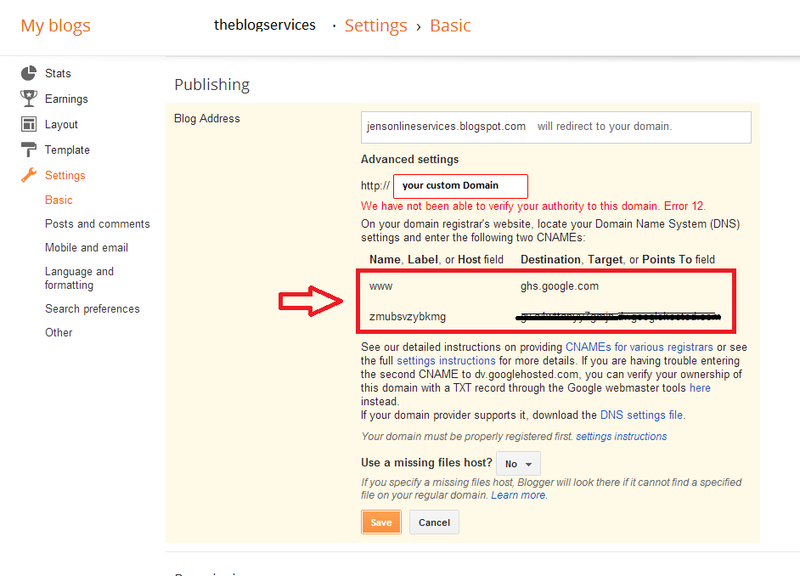 This is how you can change the existing domain IP address that now points to your Blogger IP address. Wait for few hours for the changes to take effect in your IP records. 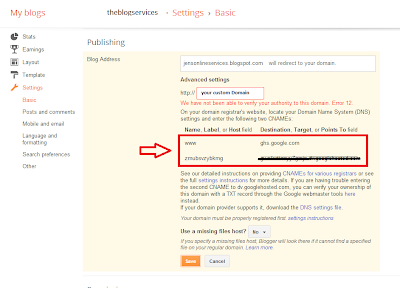 After that you can say bye bye to your old Blogger.com blog URL by changing it with your custom domain name. Note: Just put your comment below if you need further help, thanks..